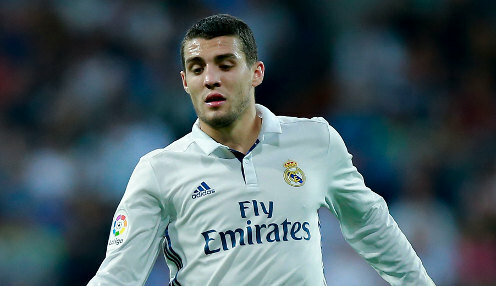 Croatia midfielder Mateo Kovacic has confirmed that he will seek a move away from Real Madrid this summer in search of more regular first-team action. The 24-year-old, who has featured as a substitute for the Vatreni in both of their opening two games at World Cup 2018, has been at the Bernabeu since the summer of 2015, but has made just 37 league starts in three seasons. I think I can have this opportunity and it's one I want right now. And the former Inter Milan schemer is keen to try his luck elsewhere and prove that he is worth a more regal starting role. He told Marca: "I understand the situation, but because of that I believe the best thing for me would be to go to another club where I'd have the opportunity to play regularly as a starter. "I think I can have this opportunity and it's one I want right now. Of course I am not happy when I don't play. "I have really enjoyed these three years in Madrid, alongside some incredible team-mates and winning trophies, but I haven't been completely happy because my contribution to all of this hasn't been complete and this is something I want to change." Real Madrid won a third straight Champions League title last season, but could only finish in third place in La Liga, ending some 17 points adrift of champions Barcelona. Real can be backed at 12121/1 to win the Champions League again next season, with Barca available at 12121/1 and Bayern Munich 12121/1.